Discussion in 'Lounge' started by rootbeersoup, Nov 14, 2008. 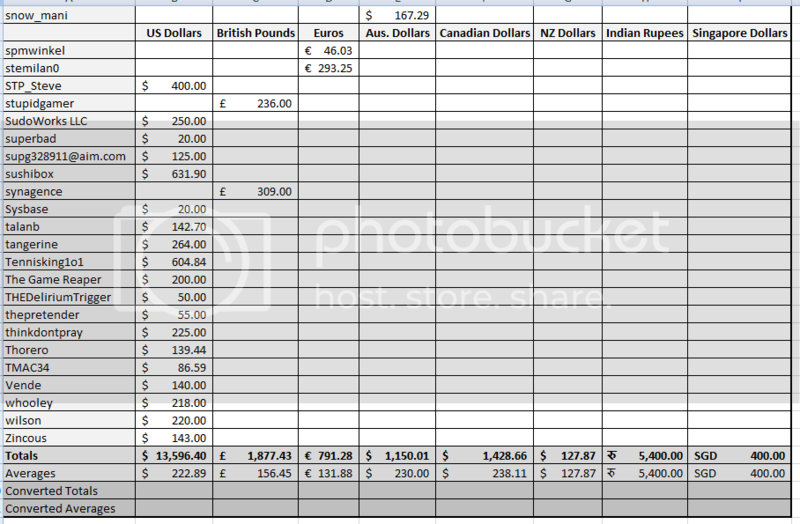 How can I see my total? go to itunes, click on your email on the top right. No it won't show my total, it just shows every app I have ever purchased. Would be very tedious to add 'em all together. Then there are Enigmo and Subway Shuffle for 1,59 euros and Topple, DuckDuckDuck and Touch Physics for 0,79.
well my total is usually just 0.99... biggest purchase PER receipt is 5.98. 0,79 euro is 1,00488 dollar so in the end you'd have inconsistencies when adding them up. People can just generally add 25% to the euro's amount to get dollars (or lower the dollar amount by 20% to get the approximate euro amount). I'd say: keep two colums. first app i purchased was chopper. still love it, too! I hate to think what i've spent on iTunes with music, movies & TV shows...well over $2K. Yep! Please add Aussie dollars. This was scary . I already knew I'm spending way too much on apps. Mostly games but some other useful ones too (like eWallet). Thanks to ebay I only spent about half of my total. I got a $30 card for like $15. So far I've been in the discount app department and haven't spent a fortune, but I have a boatload of apps.